Electrical appliances are very commonplace in any modern home or workplace due to their convenience and importance in everyday use. When is the last time you went an extended period without preparing food in your electric oven? Appliances such as ovens, washers, and dryers are used all the time thanks to electricity. 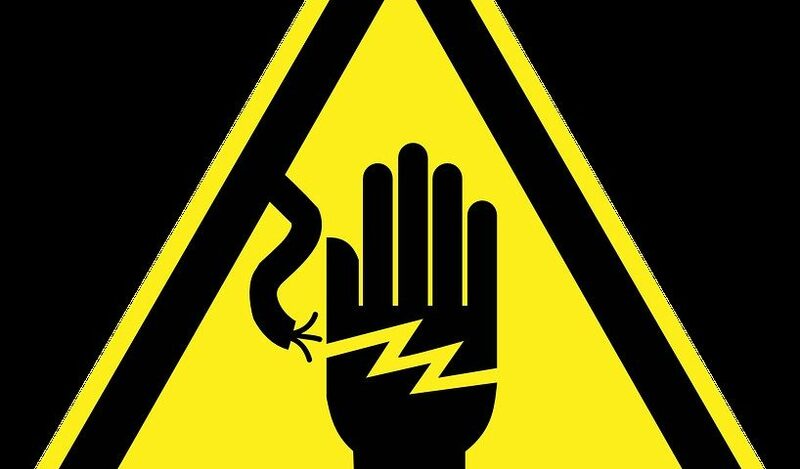 Unfortunately, there are a lot of risks associated with the use of electricity. Electrical hazards or emergencies can be caused by something as simple as an overworked circuit or a frayed cord that creates a spark or an electrical shortage. To protect yourself from a potential electrical emergency, it is important to regularly maintain all of the electrical systems within your home, including any appliances. However, if you experience an electrical hazard, the proper procedure may vary depending on the situation. This is one of the most common hazards you may encounter. Typically, a frayed cord located too closely to fabric or curtains or a short circuit can cause this. These dangerous fires need to be dealt with quickly and efficiently, so it is helpful to know the proper steps to take as a response. The first step you should take is to cut the power to the appliance or electrical system that is creating the issue. Instead of simply unplugging the object or turning the switch off (as this can be dangerous), you should flip the switch on your breaker box. If you are fortunate enough to have a fire extinguisher on hand, knowing how to use it to put an electrical fire out is extremely handy. This is a good follow up step if you were not able to turn the power off to the source of the fire because they make extinguishers that are safe to use on objects that are still connected to electricity (Class-C rated extinguishers). If you did cut the power, you can safely use Class A-rated fire extinguishers. If the fire is uncontrollable, you should leave and exit the space as quickly as possible. When you are in a safe space, you should call 911 (you should do this in the event of any fire) and remain close to the ground to keep yourself safe from smoke. If the person who experienced the shock comes in contact with another person, they could cause that person to be shocked or even electrocuted. If possible, turn off the power on the circuit breaker for that area of the house. This step should be completed as quickly as possible. Immediately call 911 after you have turned off the power or moved the person away from the source of their shock. CPR and first aid training might be needed for the victim, even if they say they are feeling fine. Electrical shocks can have odd effects that are not always noticeable right away. There are many possible causes for a power outage, and it may be something as easy to fix as a short circuit or a tripped breaker. Reset your breakers to make sure that they are not causing your power outage. Keeping your electrical systems up to date is a good way to prevent a power outage. Contact our team if you have any questions or concerns regarding electrical safety or if you are looking for a reliable electrician to inspect your home.